We’ve seen a lot of spy shots of camouflaged test versions and even some completely uncovered 911 Carrera or Carrera S’s rear. 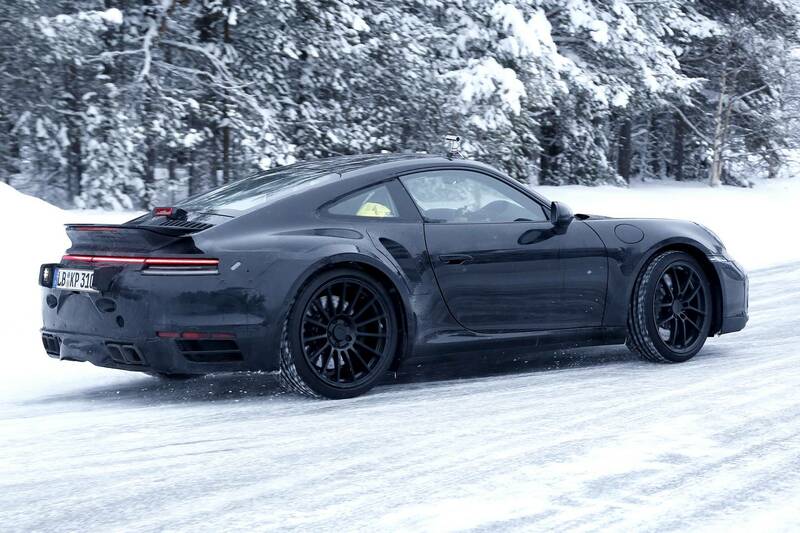 According to this new set of spy shots, it would seem that the next-gen Porsche 911 2020 has been hiding in plain sight for some time now. These new spy shots show a 992-generation 911 on the road with almost no camouflage except for a lousy attempt to hide the badges. Porsche should have known better; you simply can’t mistake a Porsche 911 for any other car. 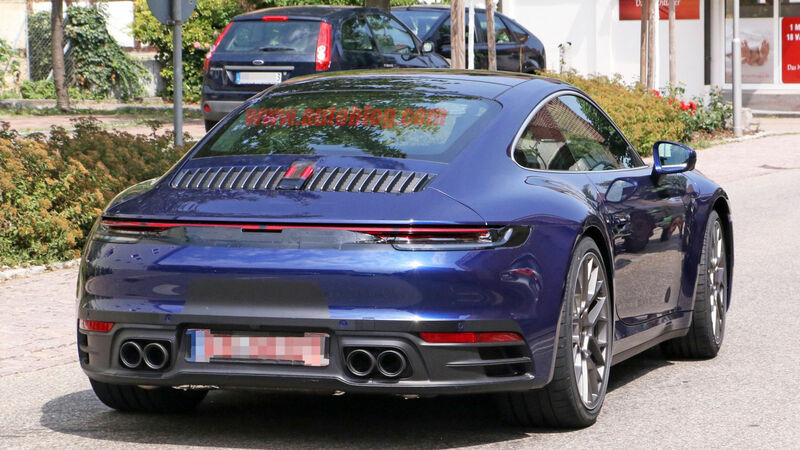 The Porsche 911 prototype seen in these spy shots has a pretty nice color scheme comprising mainly of a shade of blue which is complemented by grey multi-spoke wheels and chrome trims on the windows. 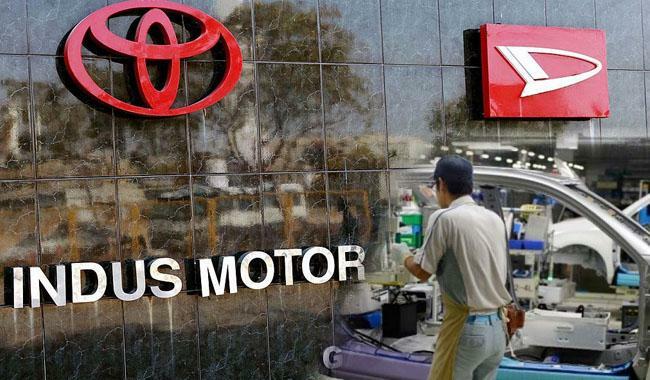 The overall design of the car looks a lot like the current generation, the only major differences that help the new-gen prototype stand out is the redesigned bumpers on both ends. 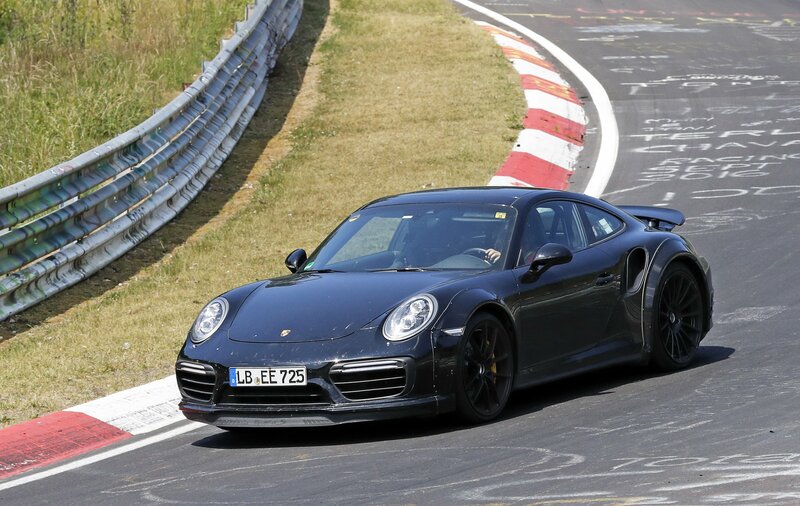 Another difference that you can notice between the current 991 generation and the upcoming 992 generation is that the headlights are a bit tilted backward. The front bumper also holds two large air intakes, one in each corner. The headlights are integrated into the fender rather than joining the front bumper. As for the hood, it has been squared off on the corners instead of being rounded up. 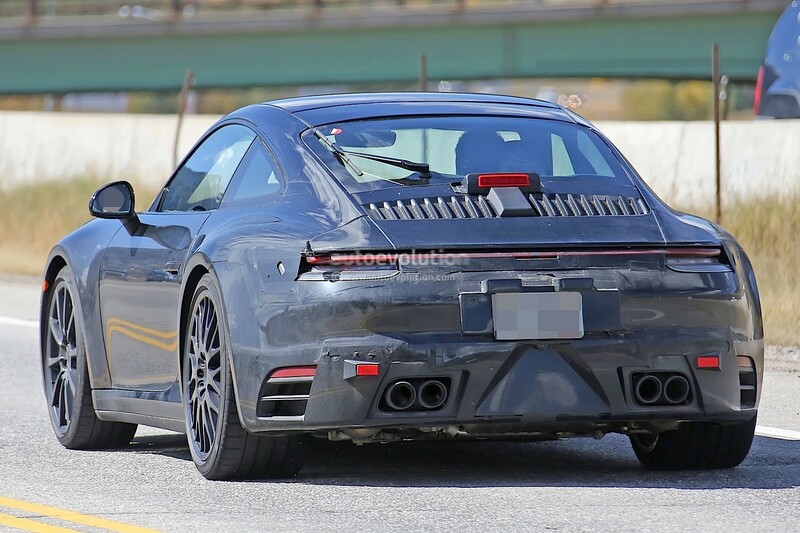 The rear of the Porsche 911 prototype seen in these spy shots looks much like the rear of the prototype that was spied earlier this month. 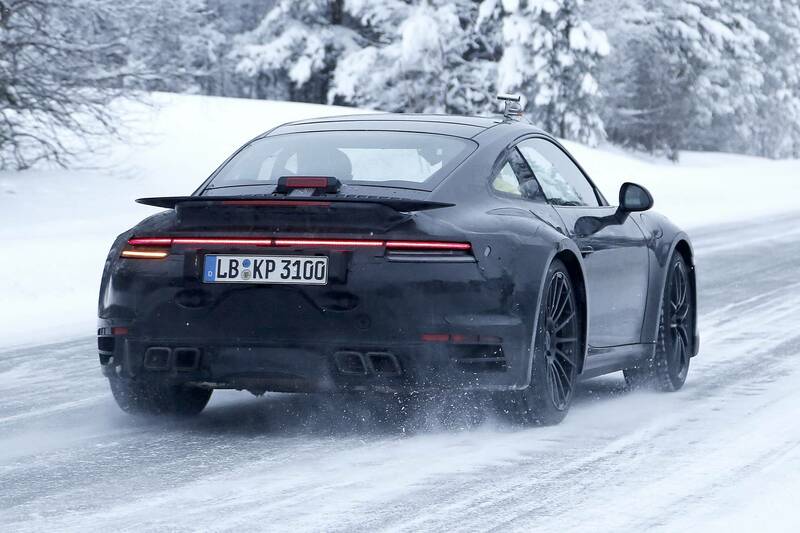 The next-gen 911’s taillights span the whole width of the car with a slight outward curve that matches the rear profile of the car. The slim taillights play a large role in giving the car a lean and mean look from the rear. This sort of design is becoming more and more of a symbol representing all-wheel-drive models. But this isn’t the first time we are seeing full-width taillights on a rear-drive air-cooled Porsche 911, so, the design pattern isn’t a strange one for this new model. Porsche hasn’t announced the reveal date of the 2020 Porsche 911, but it would be logical for the company to showcase an almost production-ready prototype during the next round of auto shows. It is also speculated that the 911 Carrera’s base model will have a turbocharged flat-six powerhouse producing at least 390 horsepower.